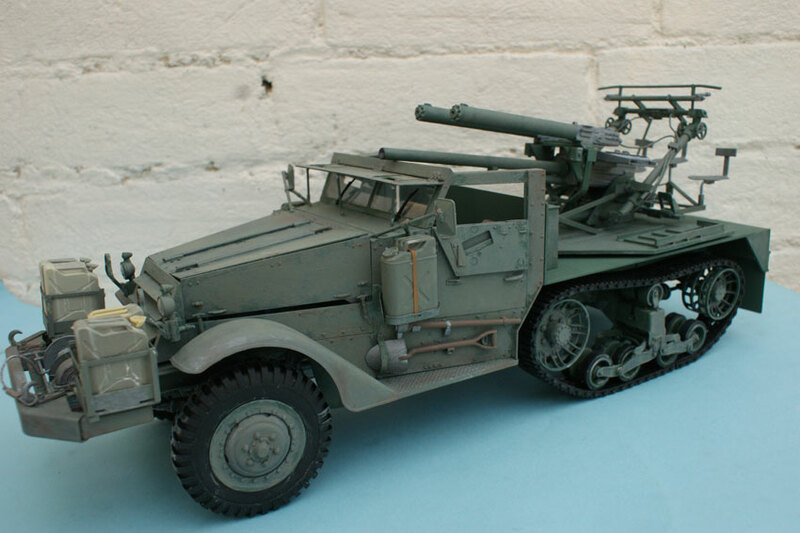 This was another conversion on the Trumpeter halftrack kit. The flatbed was from 60th plastic card and half inch runners for the chassis, the fuel tank and stowage bins were from plastruct square tube. 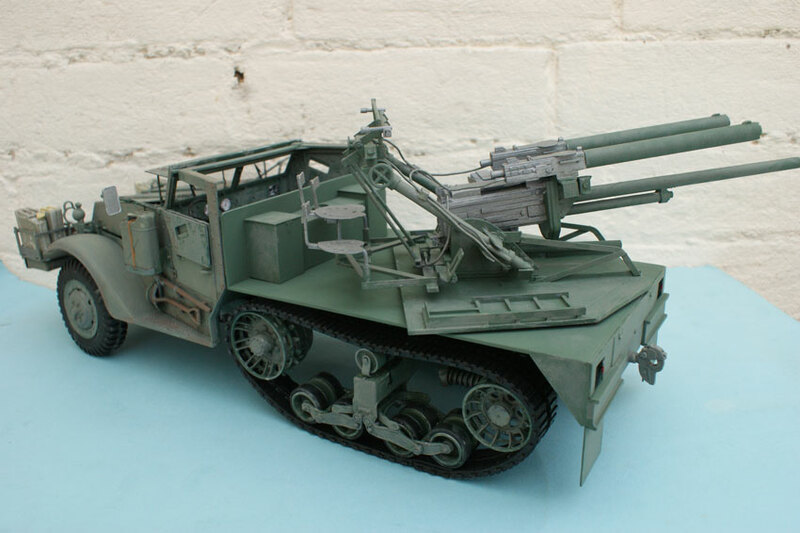 The 37mm main gun was from turned wood and the receiver from card, rod and strip and the 2 water cooled M/Gs from various evergreen tubing and bodys from plastic card. 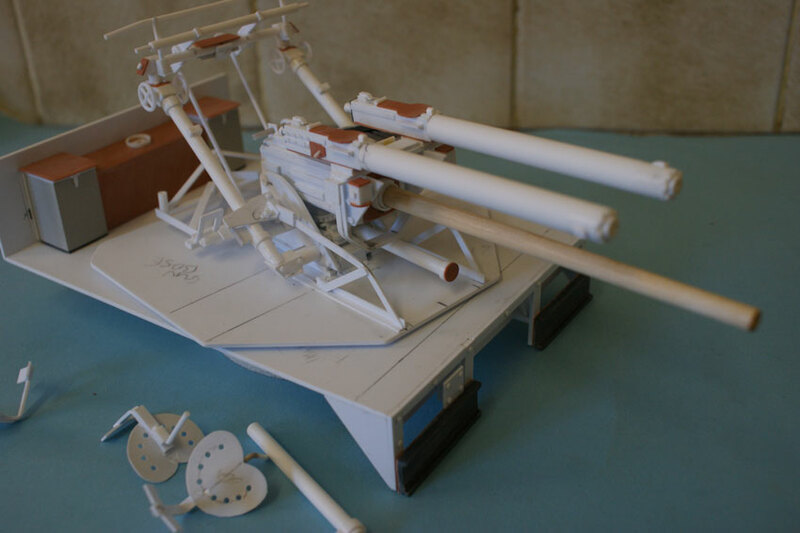 One of the original M/G mags were cast in resin and a basic trailer built earlier was added.